← Too Much 90’s Sexiness In One Photo! 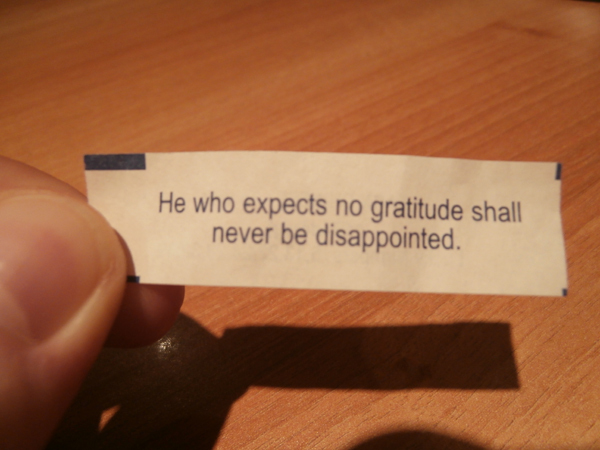 Fortune Cookies – You’re Doing It Wrong! Fortune Cookies - You're Doing It Wrong! I got this in my fortune cookie the other day at the Mandarin. This is definitely not the fortune you want to give me while I am formulating your tip! This entry was posted in Uncategorized and tagged Evil Fortune Cookies. Bookmark the permalink.